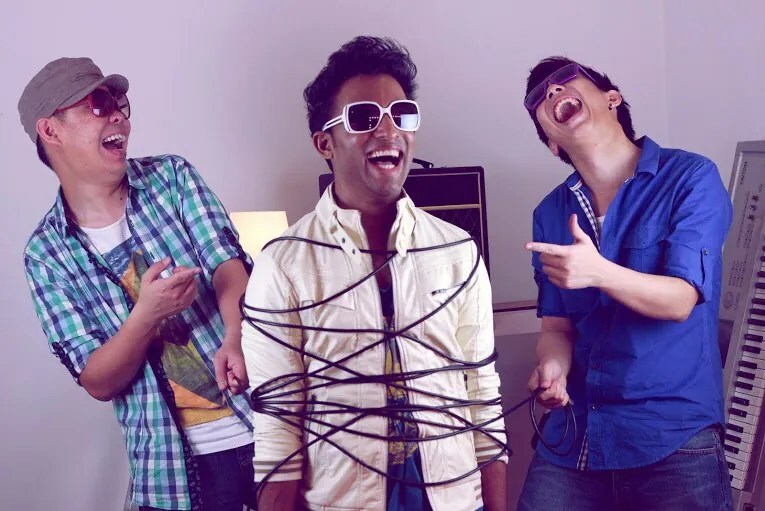 Local electro pop rock band, Paperplane Pursuit is made up off three very interesting guys – John O, Liang and Andrew. 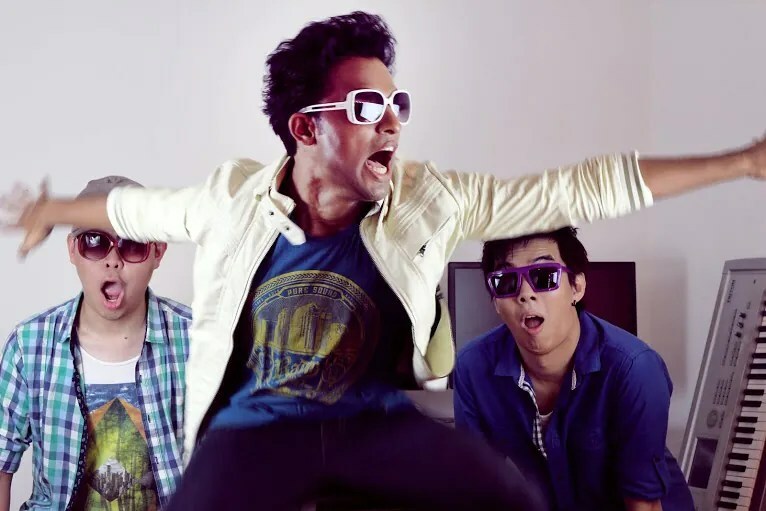 Their debut album under a different name – SilentScream was the kick start to their career and Revolution, the debut single of the album stayed on top of the local charts for consecutive weeks and got the band three (3) Music Authors’ Copyright Protection Awards (MACP), and an Anugerah Industri Muzik (AIM) nomination. 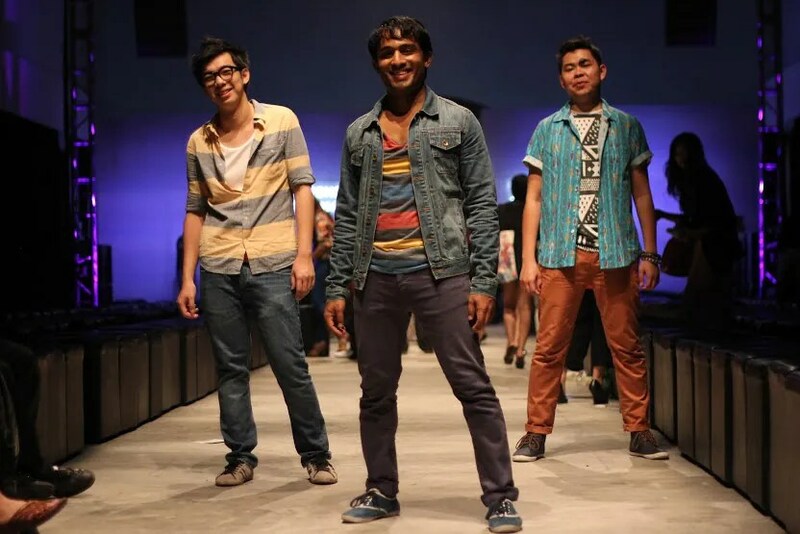 The band went through a series of reshuffling before deciding on a three piece lineup to pursue a more radio friendly path as Paperplane Pursuit. Together, they’ve released their album Malaysia 2.0 which consists of five (5) tracks in which two of their top singles Goodbye and Forward were major chart toppers in Malaysia. They also made waves on MTV Asia as they achieved daily rotation airwaves in late 2010. Paperplane Pursuit toured around Malaysia in 2011 and 2012 following their success of Malaysia 2.0. However, it wasn’t till late 2012 that Paperplane Pursuit started releasing a string of singles that were aimed for a greater amount of radio airplay and YouTube views. The band released three singles titled Everybody Wants Somebody, Ah Song and What If accompanied by its own music video. Hype.My managed to catch Paperplane Pursuit perform live at the 11/10 Experience with Salty Customs event recently and snagged them in for an exclusive interview. How did you guys come up with the name Paperplane Pursuit? Everything else we came up with was taken! We finally settled on Paperplane Pursuit because we liked the way it sounded, what it represented to us, and most importantly, the name wasn’t taken by anyone! Actually we kinda wish our name was a little shorter haha. 15 years this November! It feels like we’ve been playing music forever! What do you think about the current local music scene? We feel the local English scene is going through a really cool ‘hands on’ phase, with many artists doing their own music production, some their own video production, and of course we’re very much a part of that whole DIY movement. We English artists have always been the underdogs of the Malaysian music industry, and it’s interesting that what started out as necessity due to budget constraints is leading to some awesome bursts of creativity and independence. If you could change one thing about the local music industry, what would it be? The “support me because I’m local” attitude. It somewhat implies that people owe us their support just because we’re local, but really the world doesn’t owe anyone anything. The public will naturally develop pride for local music when they see great talent on display, they won’t need to be told to. Of course it has to be said that that goes hand in hand with the media giving the public a chance to check out local music, and we’ve been very blessed to have a lot of support from the local media. What is the funniest thing that has happened to you at an event? We were called to perform for a matchmaking event. We were about to play when someone found out that we were gonna play “Goodbye”. They wanted us to play “Hello” instead. We ended up not playing. What is the first thing that comes to mind, when you think about music? LOVE! But Andrew thinks of angry thoughts and angry metal bands. There are too many to name, but we probably wouldn’t wanna say anything to them, instead we’d love to just shut up and listen haha. If Paperplane Pursuit were a biscuit, what song would best represent you? We Can’t Stop by Miley Cyrus, because once you have a taste, you gotta keep having more hahaha. Tough to narrow it down to just one, but maybe Michael Jackson. People tend to see only the performer side of him (and he’s AMAZING at that), but he also wrote an incredible amount of mind blowing songs. Listening to his albums even today, you get the sense that every single song could be a single that would top the charts on radio. That’s an attitude that’s inspired our approach to our newer songs – every song should be a single worthy of radio airplay. What is the one thing that has happened in your life that has made a big impact on who you are today? We’ll it’s not exactly ‘one thing’ but going to school at The Victoria Institution definitely had a big impact on us growing up and shaped us into the people we are today. It was there that we started playing together, and the whole culture of the school was one that encouraged us to push ourselves to the absolute limits and excel without expecting any assistance from adults. We started out as an eager young band when we were 14 and in about a year or two we became the default band to play at just about every school function, made us feel like quite the rockstars haha. When the partying is over, how do you like to unwind? A nice warm bath together in our hot tub. What is the one thing that not a lot of people know about Paperplane Pursuit? The band is secretly made up of two doctors and one accountant, as unlikely as that sounds. Also, John was born with blue hair, and he’s finally decided to go natural. If you could collaborate with a local artist who would it be and why? Funny you should ask that, we’re actually about to release a new collaboration single with a local artist we’ve always wanted to work with (who is still a secret, so we’ll call this artist ‘X’ hehe ),X has been an inspiration to us because of the massive amounts of talent X has in every area of music, and how consistently X is able to put out high quality tracks that always sounds a few steps ahead of everybody else. Where can our readers listen to get updates on Paperplane Pursuit? Readers and fans can get anything and everything Paperplane Pursuit worth on our social media sites – Facebook and YouTube.